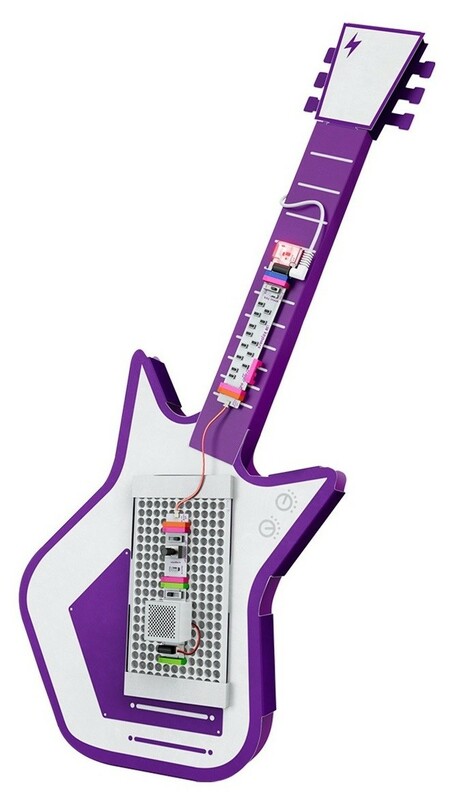 Build and customize your own musical instruments with this kit from littleBits! 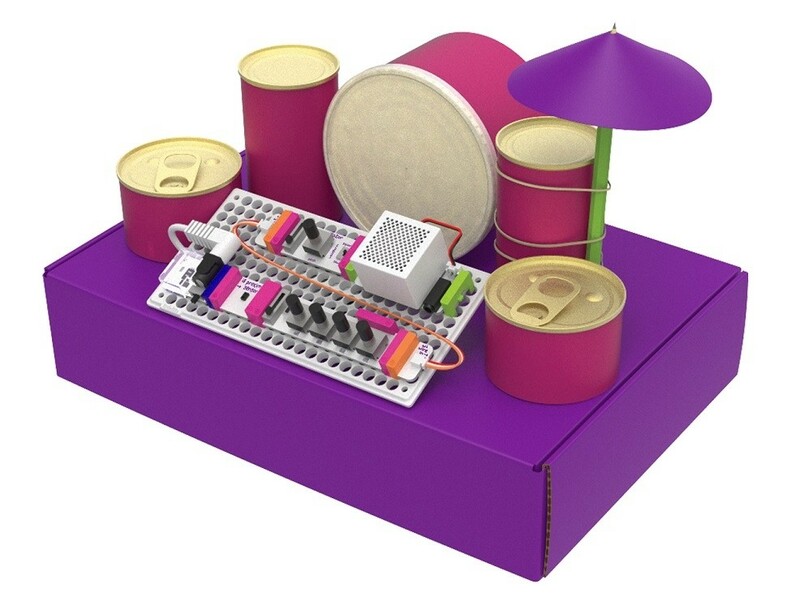 littleBits are modular electronic components that click together without glue or solder, making them perfect for kids to experiment. 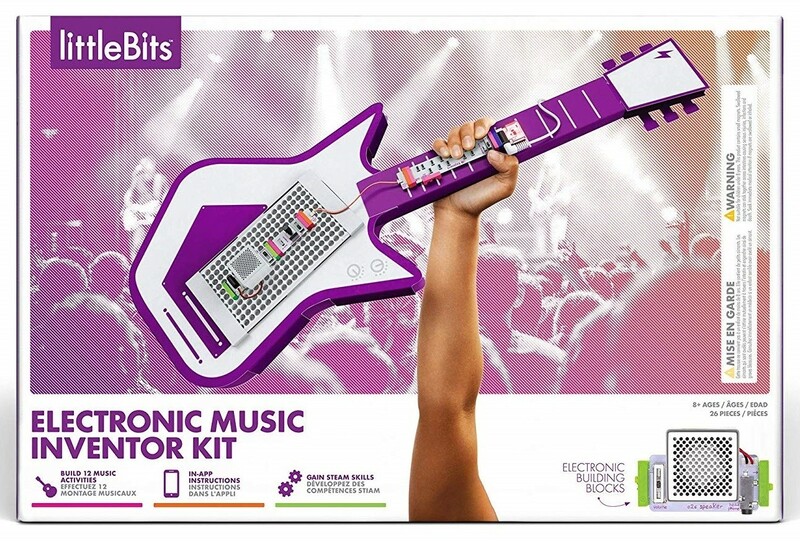 In this kit, kids will learn how to build a synth guitar and air drums. Then, play your instruments in a variety of different ways — and take the apart to invent your own. 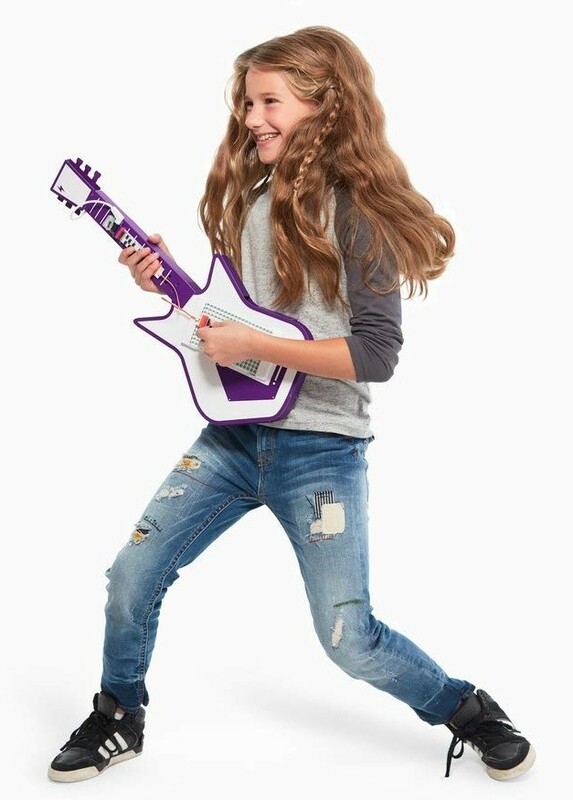 As kid follow along with the 12 activities in the included app, they'll use 26 littleBits to create a keytar, a hands-free drum, and a guitar that plays when you dance! Along they way, they'll get encouragement from real-life musical inventors. 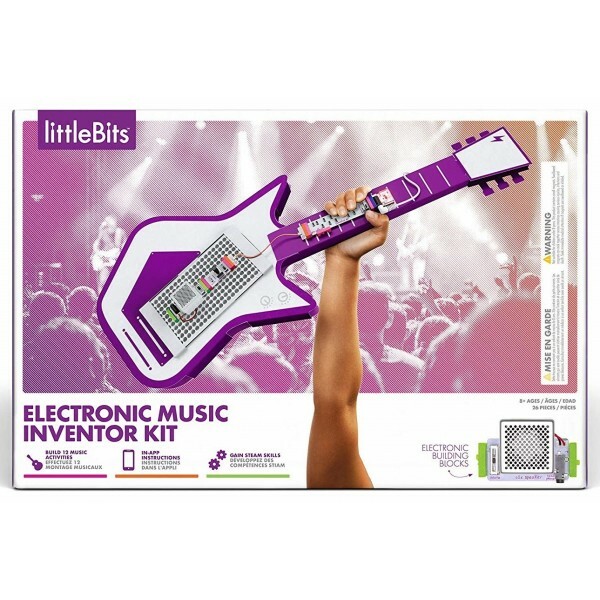 This kit is also compatible with all other littleBits kits, so the only limit is your imagination! 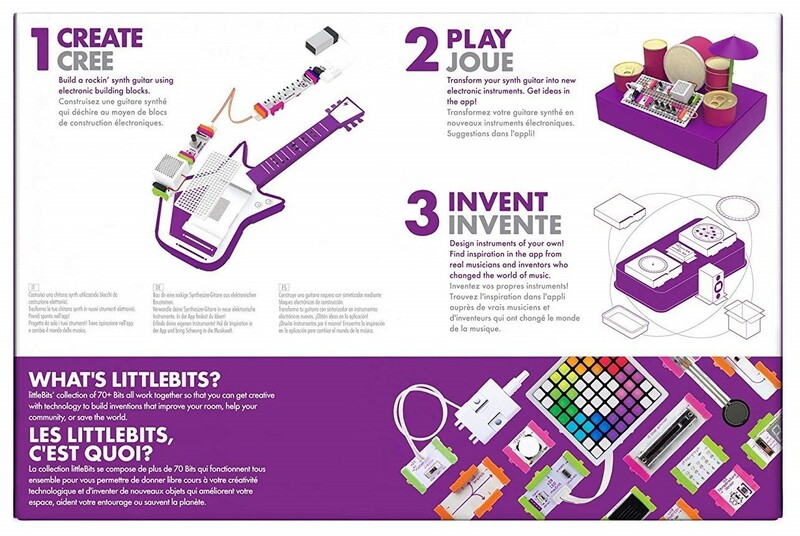 For more littleBits to add to your toy box, visit our littleBits Collection.